India’s Times Internet has continued its recent activity with the long-awaited launch of mobile apps for its Gaana music streaming service. The legal music distribution site first went online in June 2011 and, though it sees an estimated 3 million monthly users, the only addition to its Web-based service has been a Web app for iPad — that’s all changed now though. It’s been a busy a last month or so for Times Internet — the Web arm of The Times Group — in which it made a ‘seven figure’ investment in Fab, relaunched its iTimes social network, inked a deal with Gawker and more. 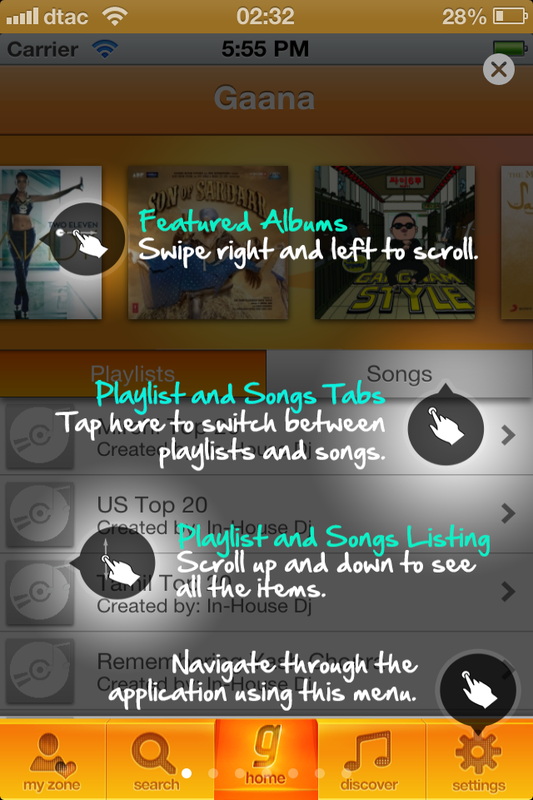 Today, it has cut the ribbon on apps for iOS and Android, and also Blackberry and J2ME in one fell swoop. 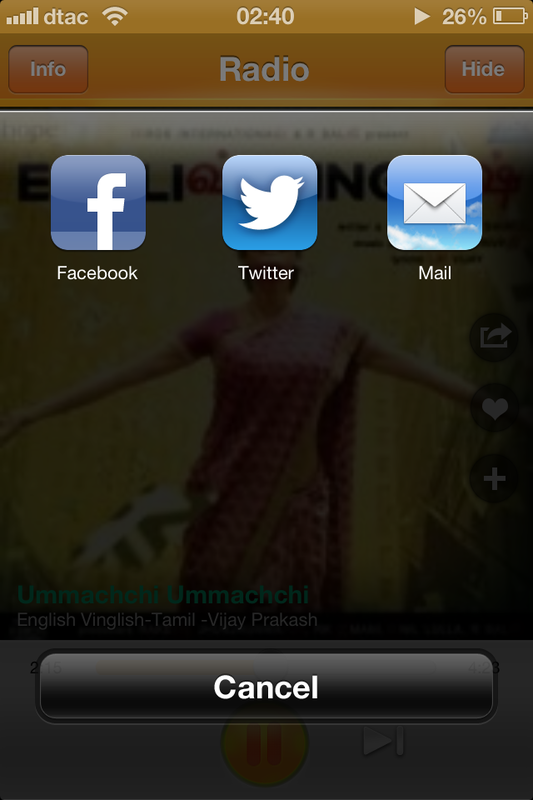 Each app is native and shares a consistent UI and design. 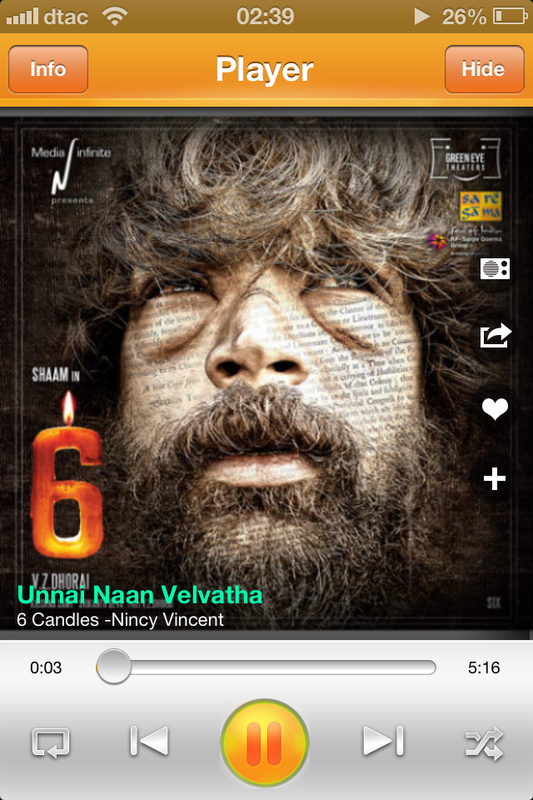 The service — which competes with the likes of Saavn, Dhingana, MusicIndiaOnline and Raaga — is free to use and the service has the rights to more than 2 million songs from over 300 record labels worldwide. The music is predominantly focused on Indian genres — such as Tamil, Telgu and Punjabi — and Times Internet has support from many of the country’s top labels for that. All of Gaana’s Indian music catalogue is available to users worldwide, but those in India will also enjoy international music since Times Internet has struck a deal with giants Sony and Universal to distribute their content in the country. Times Internet is understandably excited by this launch, even when it had announced its other recent deals, CEO Satyan Gajwani told me that the Gaana launch was its major focus. What’s most important, the company says, is that this is an example of an Indian company developing a “world-class product” by itself. Times Internet expects that this is a sign of things to come from tech firms in the country, as its announcement explains. It’s a big statement [to say this is a world-class product from India] but the trend is certainly occurring. Traditionally, India has been viewed as a developer land that lacked product or design skills. So US companies ideated in California, then developed with a tech arm in India. 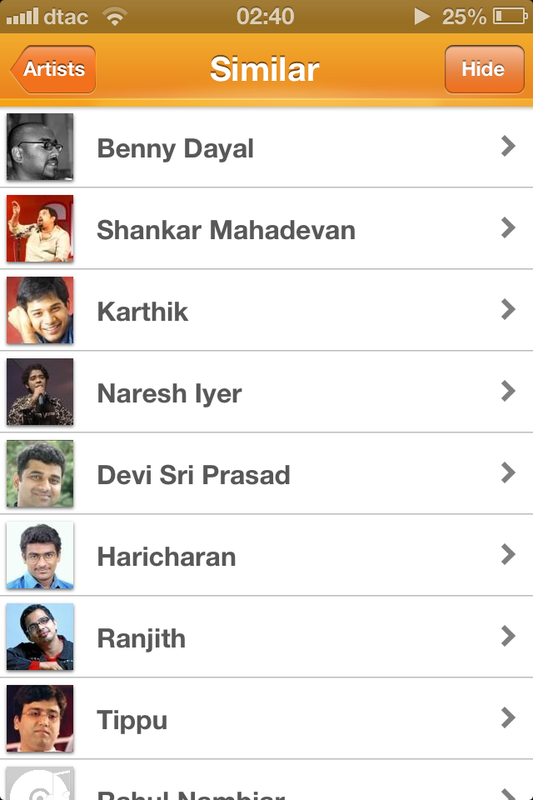 This app was completely incubated, designed, architected, and built in India, out of our offices. It’s a sign that Indian product companies are aiming to create products of global quality, a trend we expect to see happen more over the next few years. That focus on ‘built in India’ is clear with the inclusion of BlackBerry and J2ME apps. Global music services like Pandora and Spotify would not entertain building for these dated systems that are barely still used in the West. In India, however, the reality is that sales of Android and iOS devices, though growing, remain smaller than that of feature phones. As rivals Dhinghana (BlackBerry, iOS and Android) and Saavn (all four platforms) also show with their broad support of mobile platforms, lower-end devices represent a key segment that cannot be ignored. Indeed, Times Internet estimates that 30 percent of its downloads will come from J2ME phones, while it acknowledges that BlackBerry devices remain popular in India. Aside from targeting users of high-, mid- and low-end devices in India, it is aiming to reach “global Indians and Indian aficionados” based overseas in Europe or the US. Since it is keeping the app free for users, advertising is the model used to bring in revenue. The company admits that “it remains to be seen whether an ad-only model is sufficient to make a successful business”, but a core launch focus is to keep the service free so as to appeal to as wide an audience as possible. We’ve just launched, and our core goal is scale, so we’re not focused on crowding the user experience with advertising. While advertising will be one of our revenue streams in the future, we will also look to offer premium functionalities for our users in a paid model. One model of advertising that has worked well for us on Web, though, which we may look to expand to mobile, is to partner with telecom operators and upsell caller ringback tones to users as they listen to a song. We did this with Airtel on the web, which was pretty effective. The service is sophisticated (on iOS) and Gajwani says ample effort has gone into building discovery mechanisms and making the experience a social one. 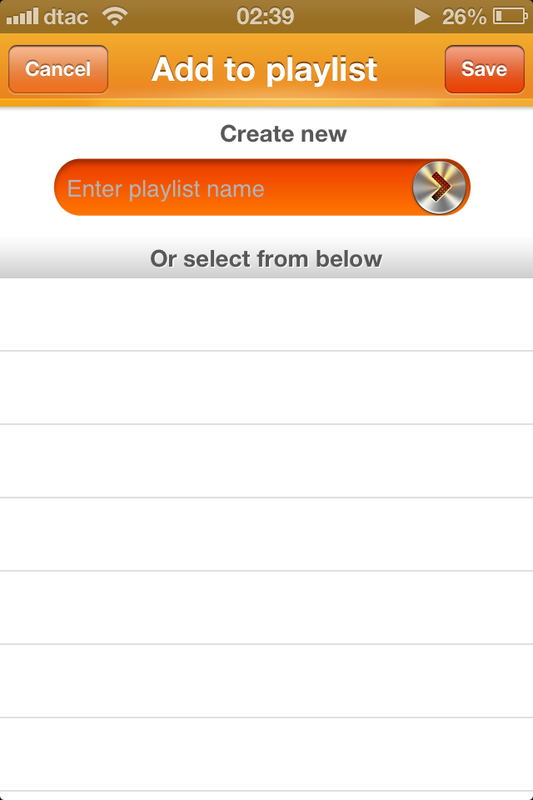 Users can peruse based on artist, album and song and build their own favorite songs and playlists as is standard on most streaming apps. 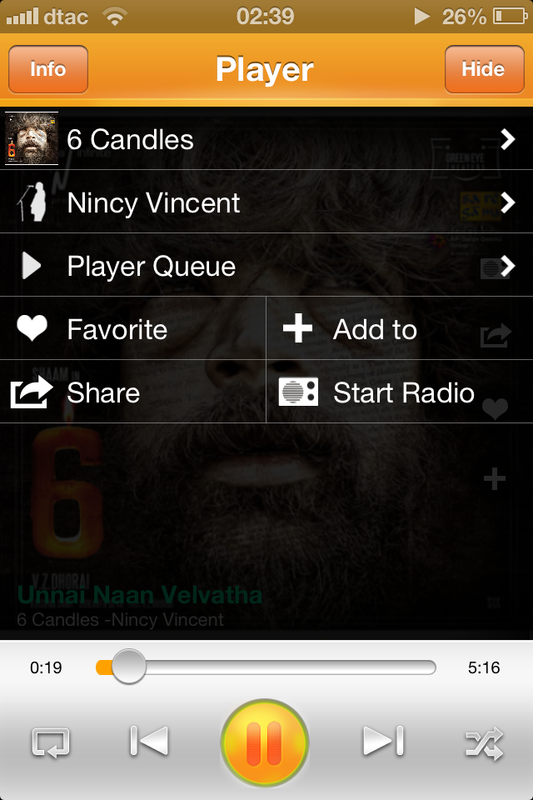 Gaana staff curate a featured content section, while a Pandora-like radio mode helps introduce new artists that are similar to a user’s favorites acts, albums or songs. The app takes full advantage of Facebook’s Open Graph by connecting to the social network to enable a social listening feature that gives a snapshot of what friends are listening to on the service. It also provides other sharing options — as it does on its Web service — allowing links to songs be sent out over Facebook or Twitter or via email. 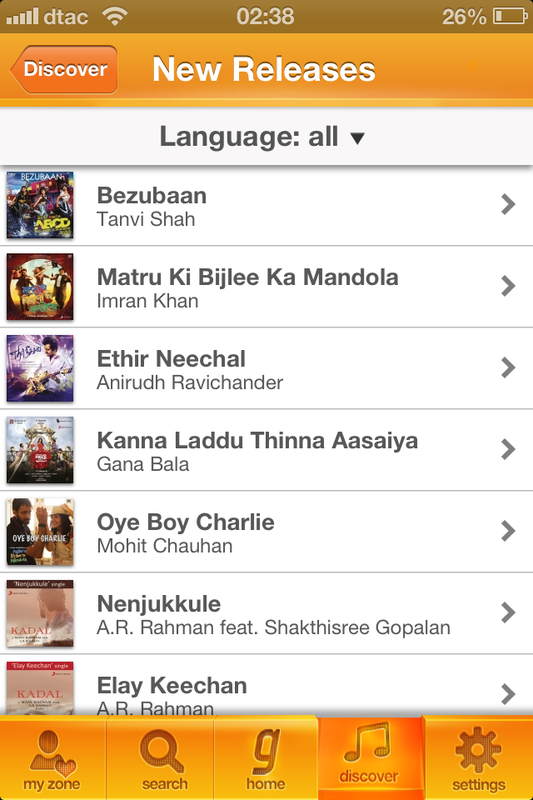 Certainly, at the cost of free, this is an app that Indian music lovers need to test out. Whether or not it betters the competition may be down to personal taste, but it certainly packs all the right features and comes with a sizable catalogue of content. The addition of international music in India is a real bonus for domestic users and is one key area that may see it appeal beyond the rest in the field, particular among younger music fans. Take a look at the video and our screenshots for more. 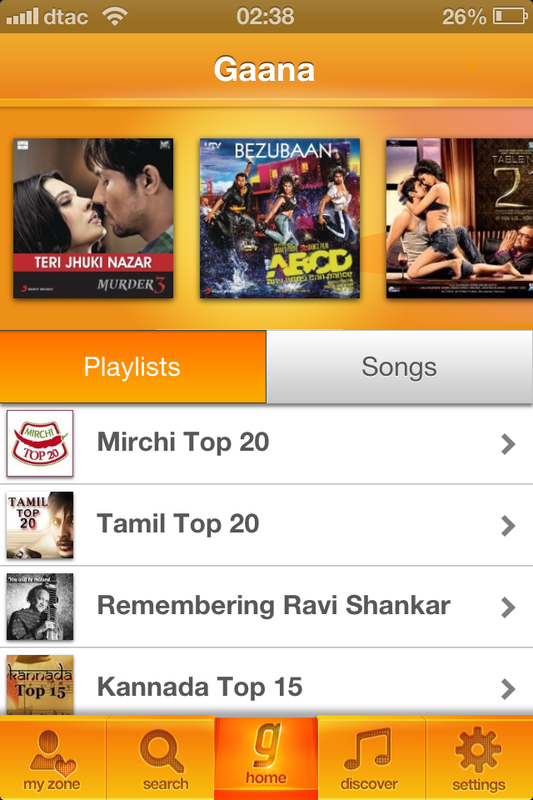 You can grab the apps from the Gaana site which is linked below.